Amazon Sponsored Products (‘PPC’) has quickly developed into a major marketing channel on Amazon. However while it’s fairly easy to create your first ad campaign, successfully mastering Amazon PPC to drive sustained sales & profit growth can be extremely difficult. The number of new products and sellers on Amazon also continue to grow exponentially year-to-year. With more sellers and vendors leveraging Amazon PPC as part of their marketing strategy, it becomes more difficult (and costly) to run profitable ads, if you don’t have a defined PPC strategy in place to help you achieve your advertising goals on Amazon. For this reason we recently devoted ourselves to writing a dedicated series of articles to help our sellers successfully master Amazon PPC. This guide summarizes our complete writings on Amazon PPC, including a step-by-step guide for creating your first PPC campaign. Critically, we outline our recommended campaign optimization measures to undertake once your PPC ads are up and running, to ensure your ad spend is continually optimized and in line with your profit goals. In our Table of Contents we also link back to our individual articles, for sellers that want a more in-depth understanding of our reasoning and approach. Search terms v.s. Keywords: ‘Search terms’ refers to any search query the customer types into Amazon. ‘Keywords’ refer to what you, as the seller, bid on in your ad campaigns. Depending on the keyword match type used, one keyword can cover multiple customer search terms. Keyword Match Types: Keyword Match Types determine the degree of match between the keyword and customer search term in order for an ad to appear on Amazon. There are 3 match types available (Broad, Phrase, Exact), all with varying degrees of ad targeting precision & monitoring effort required. Negative keywords: Negative keywords are used to help sellers exclude unwanted customer search terms from their ad campaigns. When utilized effectively, negative keywords can be a very powerful tool to help you control your advertising costs on Amazon. Campaign types: The main difference between running an automatic & manual campaign is that a manual campaign will give you more accurate results. In an automatic campaign, you let Amazon run your ads for you, and your ad will be automatically matched to all the search terms Amazon deem relevant to your product. In a manual campaign, you choose the keywords you wish your ad to be displayed for, giving you greater ad targeting precision. CPC optimization: Optimizing your keyword CPC requires you to define your advertising goals from the outset, as the optimal CPC can differ wildly based on the goal metrics you are targeting. You will want to regularly optimize your keyword CPC to ensure the profitability of your ads on Amazon. When it comes to Amazon PPC, it’s important to understand that there is no ‘perfect’ method to structure your campaign. For sellers, there will always be a trade off between a low maintenance campaign structure vs. a time-intensive ‘perfect’ campaign structure that will require you to monitor thousands of keywords per product. Depending on your individual profit goals, there are various ways you can structure your PPC campaigns to help you find a balance between effort and campaign precision. At Sellics we’ve designed a PPC campaign setup targeting what we believe is an optimal middle ground between the two extreme ends of campaign structure displayed below. Our recommended campaign structure is designed to be low maintenance and scaleable, focused on giving you the benefits of granular keyword control in Exact Ad Groups without the need to monitor a large volume of keywords. PPC Campaign Structure: For each product (ASIN) you will create (1) a manual campaign (using the Exact & Broad match types), and (2) an automatic campaign. Each ad group (Automatic, Broad, Exact) has its own objective, based on its respective advantages and whether you’re targeting short tail or long tail keywords. Campaign setup: Our campaign structure is based on individual ASINs. However, if you have multiple products with similar keywords and margins, you can also group them together in the same ad group, to help you save costs. Automatic campaign: Continuous keyword research with minimal effort, find new keywords to add to your Broad Ad Group. Set a low bid due to imprecise ad targeting. Broad Ad Group: Identify relevant keywords to add to your Exact Ad Group. Set a medium level bid due to more precise ad targeting. Exact Ad Group: Most relevant keywords for your product. Set your maximum bid due to precise ad targeting. Following our recommended approach, for each product (ASIN) you will create a manual campaign and an automatic campaign. We recommend sellers to set up their Manual campaign first (using the Exact & Broad match types), followed immediately by their Automatic campaign. The entire process should take about 20-30 minutes. Step 1: Use Sonar (free Amazon keyword tool) to pick the top 20-50 keywords for your Exact Ad Group. Step 2: Set the default bid for your keywords. From our research, we’ve found that the CPC bid is on average 40-50% lower than your default bid. For example, if your actual CPC was $0.25, we would recommend you to add another 50% to your default bid so you end up bidding $0.375 as calculated. Remember, the goal here is to bid aggressively. Step 1: Add all the keywords from your Exact Ad Group to your Broad Ad Group. Now that you have set up your Manual Campaign, you will find it a fairly straightforward process to set up your Auto Campaign. You will only need to create one Ad Group for your Auto Campaign. Step 2: Add the keywords from your Broad Ad Group as ‘Negative Phrase’ to your Auto Campaign. After you’ve set your default bid in your Auto Campaign, we recommend you to deduct 30-40% from your default bid price after you have your relevant keywords running in your Manual Campaign. Step 1: Click on the ‘auto’ campaign in your PPC Manager, and you will instantly see all the new customer search terms Amazon has matched to your ad. Step 2: Transfer the search terms that have generated purchase orders (i.e. sales) for your ad, and add them as new keywords to your Broad Ad Group. Step 1: Click on any of the keywords running in your Broad Ad Group. Step 2: Transfer the search terms that have generated orders for your ad, and add them as new keywords to your Exact Ad Group. You will want to periodically track the search terms running in your Auto Campaign and Broad Ad Group that are generating clicks without conversions, to prevent accumulating unnecessary PPC costs. Learn more about negative keywords here. Step 1: Add irrelevant keywords to ‘Negative Phrase’ in Automatic Campaign. Step 2: Add irrelevant keywords to ‘Negative Exact’ in Broad Ad Group. When do I add a keyword to Negative? For example, if you have a product with a conversion rate of 2%: 100 ÷2% = 50 clicks. I.e. this keyword should be added to negative if it has not generated any orders after 50 clicks. When utilised correctly, negative keywords will help you achieve a lower ACoS. Use our PPC Analyzer to track whether your optimization efforts were successful, and immediately see if you’ve succeeded in lowering your ACoS. 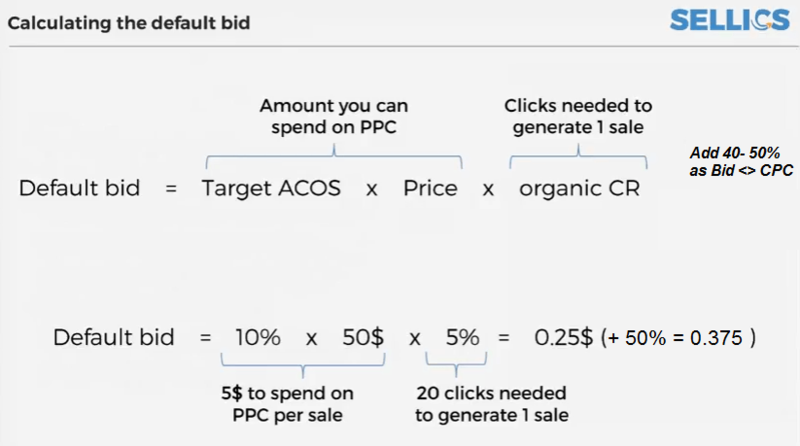 In order to determine the ‘optimal CPC’ for your keywords, you will first need to define your campaign goal (whether your aim is to maximise sales, profit, or achieve a low ACoS). Furthermore, the optimal CPC will differ for each keyword. Each keyword will have different CTRs, conversion rates, and bid competition. For this reason, the optimal CPC can only be determined by performing incremental bid testing for each keyword. 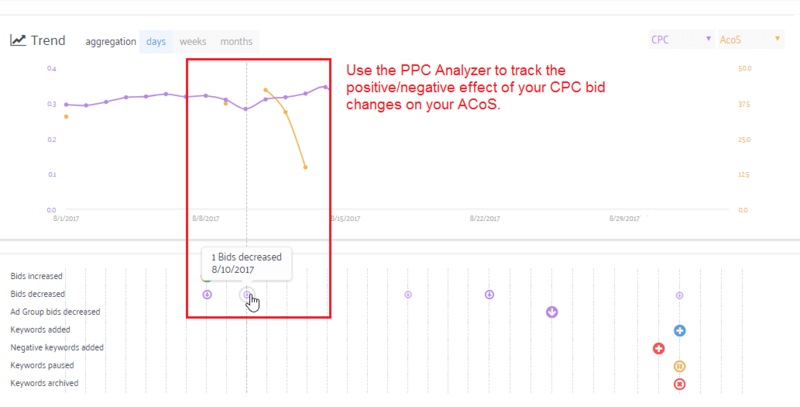 You can use our PPC Analyzer to track the effects of your CPC bid changes on your sales and advertising costs, and immediately see if your optimization efforts have succeeded in increasing your PPC sales, or lowering your ACoS. 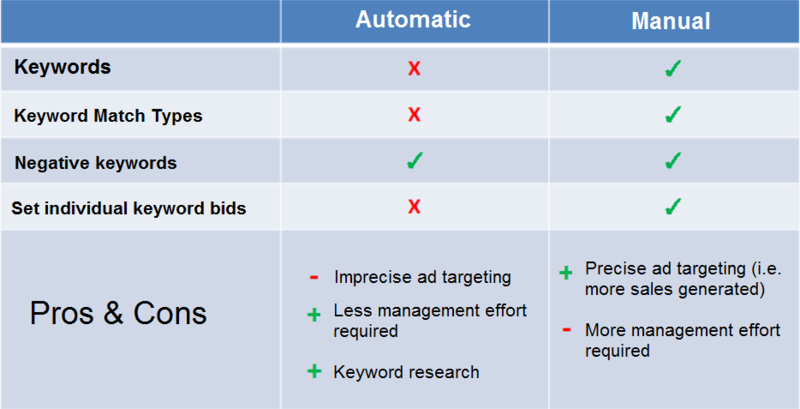 (NEW) PPC Automation: Automate your keyword bids and spend less hours monitoring your ad groups. Net profit calculation: We display the net profit for all your Amazon products (we automatically deduct your Amazon fees, taxes, Cost of Goods, shipping, and PPC costs). No more spreadsheets: Use our Smart Filters to quickly filter through high and low performing keywords. Change your campaign status, keywords, bids, and budgets directly in Sellics. Historical data tracking: Track your campaign performance for any given period, and use our Trend Chart to analyze the performance of your ads. 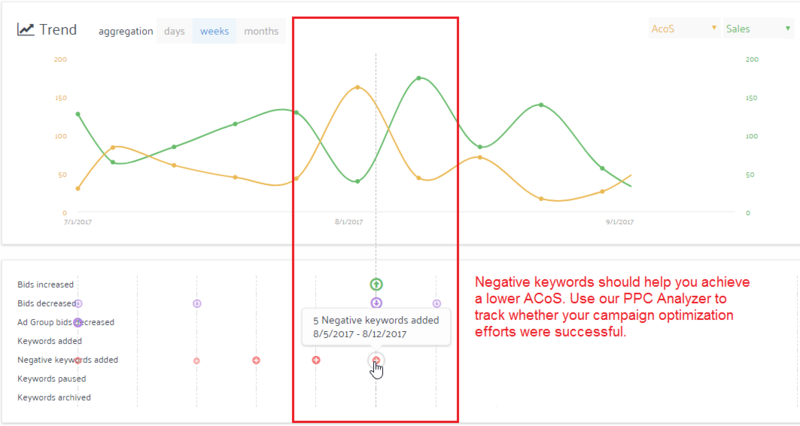 See your Bid History: Immediately see the positive or negative effect of your keyword bid changes on your ACoS, impressions, CTR, and conversion rate.